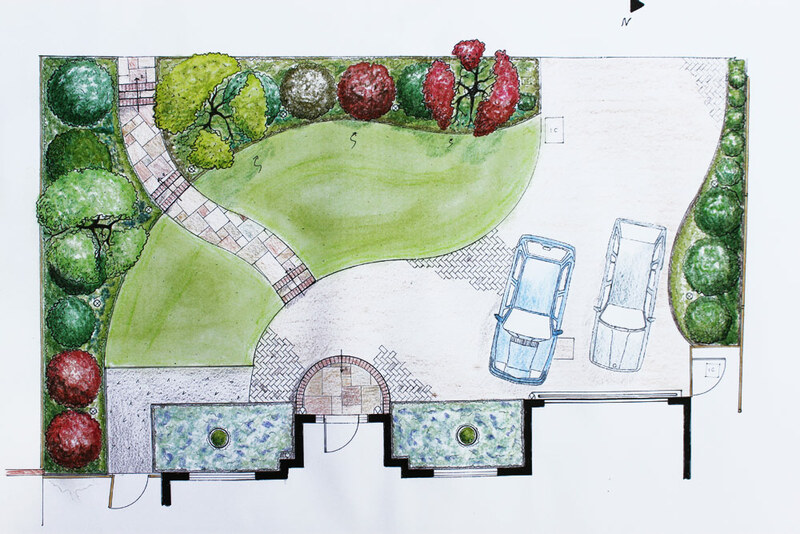 Create a front garden that enhances the appearance of the property, provide adequate parking and have all year round interest. 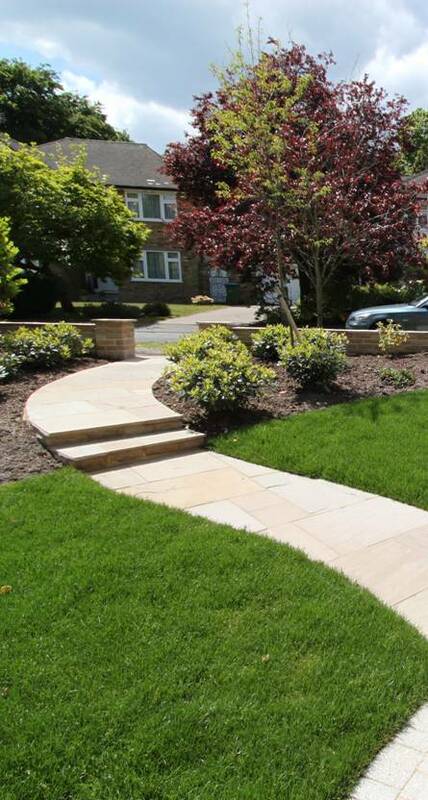 Slightly sloping down towards the house, this extremely sunny front garden had no features at all, just a very poor quality lawn and a worn block drive. It added nothing to the appear of the property. 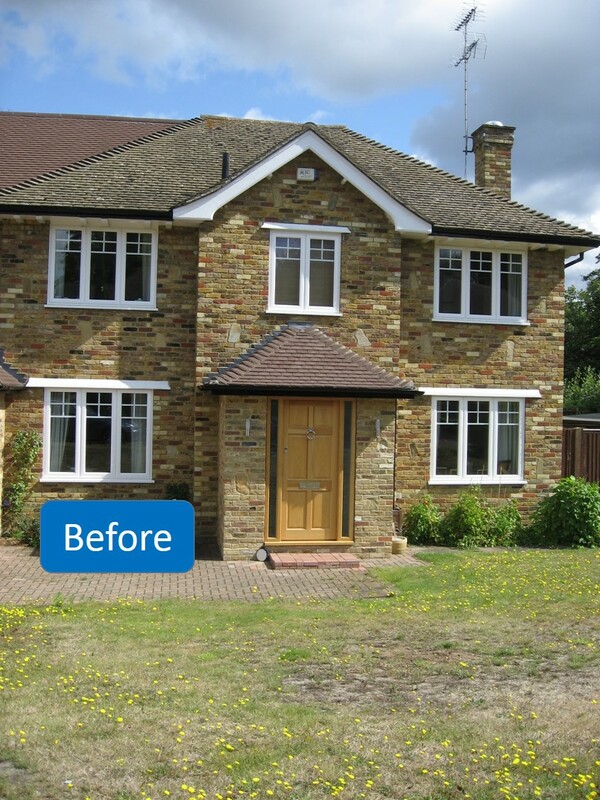 We created an asymmetric design in contrast with the house front that was very symmetrical. The strong shapes added a lot more interest to the front of the property. 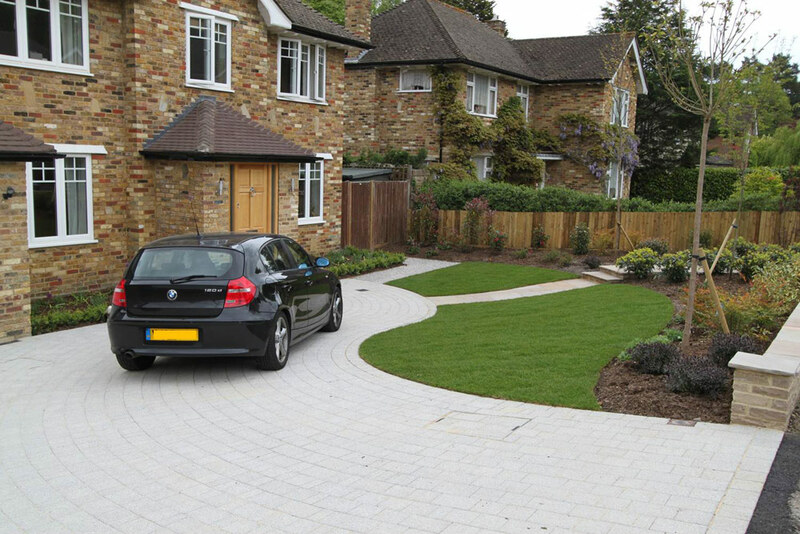 It included a small stone wall to define the front garden and a pleasing curve to the new drive laid with silver block paving. 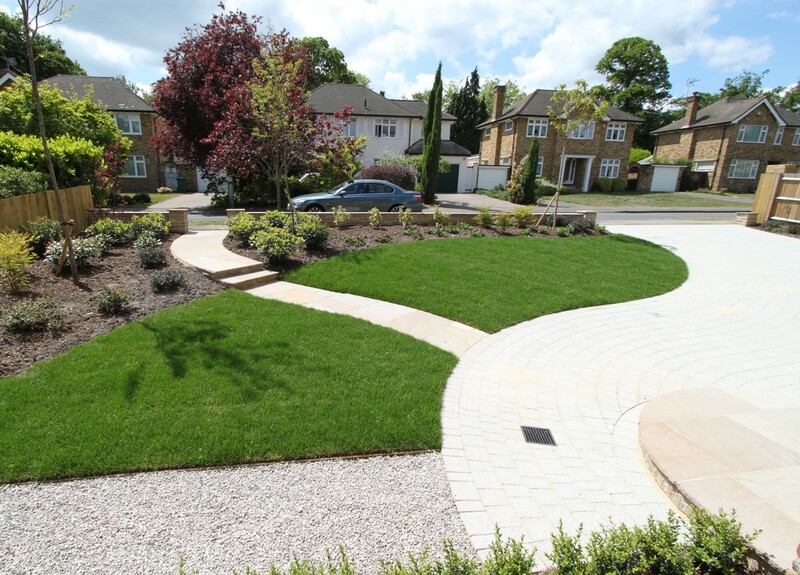 A new lawn and mixed beds softened the front garden. 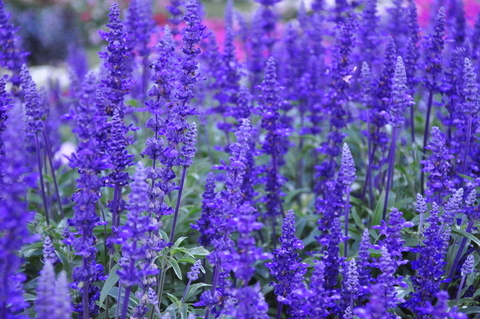 The new beds were planted with a variety of sun loving shrubs and perennials to add colour throughout the year. A sea of lavenders now flank the reconstructed steps to the front door and a new curving pedestrian path adds further character and allows the postman to avoid walking across the lawn. Specimen trees were planted to introduce height and a little shade.